Come join us with our big 'Hats for Ethan' fundraiser! Ethan is a lovely little 6 year old, who is battling leukaemia. His family have said that the money this raises they'll put towards buying a spare single bed, so that they can have a quarantine type room if needed this winter, with bugs and flu germs around. That's not too much to wish for surely, is it? 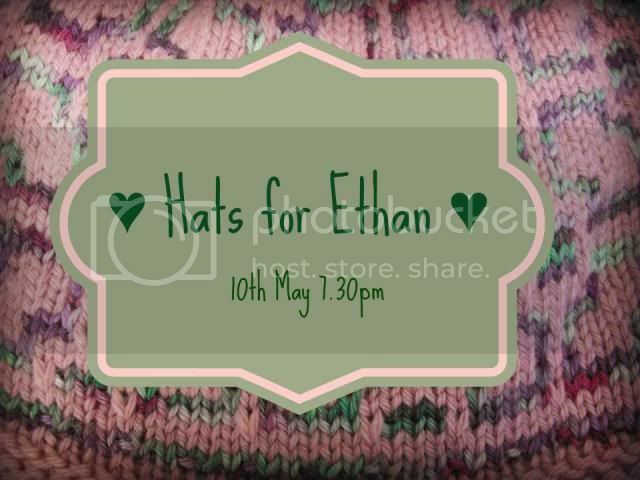 'Hats For Ethan' is a wonderful showcase which kicks off tomorrow, Friday the 10th at 7:30pm NZ time. The link is HERE. 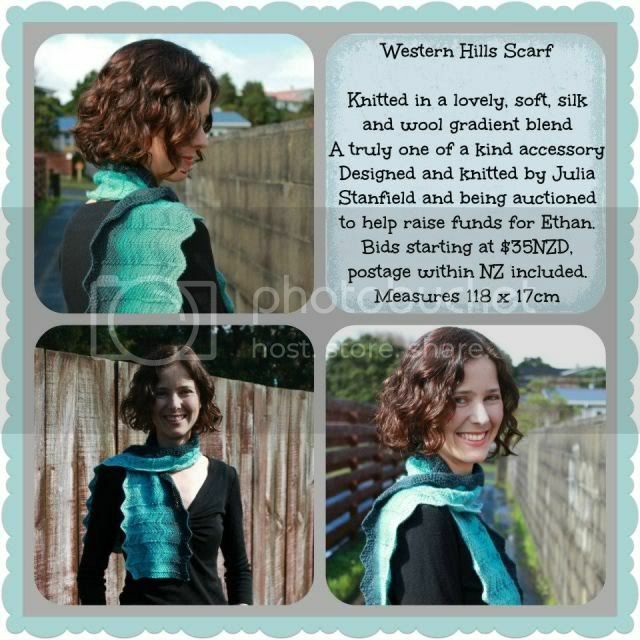 If you join the group, click on the showcase album, or click HERE, and you'll see all the amazing items up for grabs! Custom made hat auctions, starting at $10! Yarn kits of luxury yarns starting at $15! Beautiful 'buy now' items! Seriously, the range is just lovely - there cold be some amazing bargains to be had, but the aim is to raise as much money as possible for this precious little guy, so the more, the better! Auctions close on Sunday, what a lovely Mother's Day gift it could be to win an item - both for you, your hat recipient and Ethan and his family. Here's my contribution....I know, I know! It's not a hat....but it's the thought that counts - right?! Please come bid on it!